Will the Chinese Military Continue to be Ignored? “China’s display of military hardware in Beijing showcased several new weapons systems built as part of the People’s Liberation Army military buildup, including a new intermediate-range missile capable of attacking U.S. forces on Guam. This photo courtesy of the WSJ. 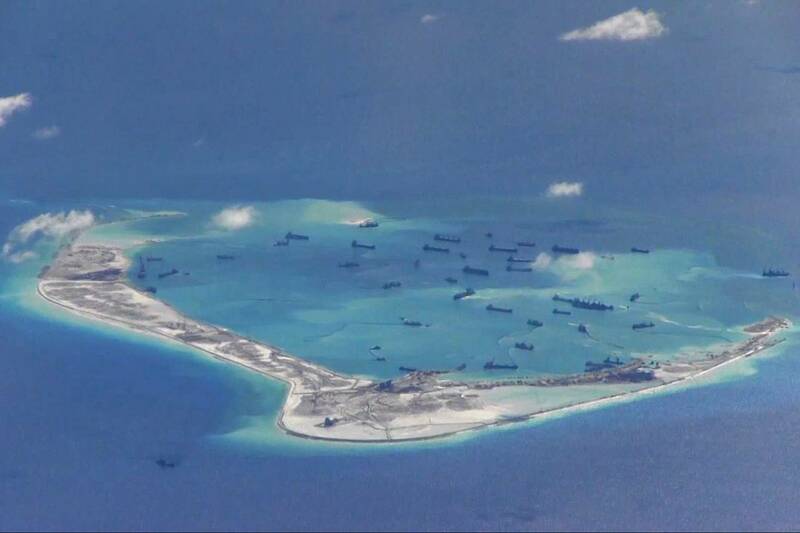 “China’s rapid effort to build artificial islands in the South China Sea is far more than a diplomatic challenge. For China’s neighbors and the United States, it could soon become a serious military problem as well. “For more than five years, American intelligence agencies followed several groups of Chinese hackers who were systematically draining information from defense contractors, energy firms and electronics makers, their targets shifting to fit Beijing’s latest economic priorities. But last summer, officials lost the trail as some of the hackers changed focus again, burrowing deep into United States government computer systems that contain vast troves of personnel data, according to American officials briefed on a federal investigation into the attack and private security experts. Undetected for nearly a year, the Chinese intruders executed a sophisticated attack that gave them ‘administrator privileges’ into the computer networks at the Office of Personnel Management, mimicking the credentials of people who run the agency’s systems, two senior administration officials said. The hackers began siphoning out a rush of data after constructing what amounted to an electronic pipeline that led back to China, investigators told Congress last week in classified briefings. God loves sinners. That includes all of us. Although God loves us, he will not allow us to rebel forever.